How to manage My Library? 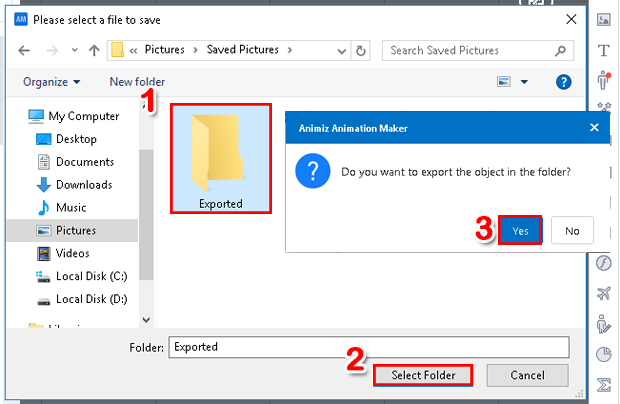 Animiz allows you to save used contents including videos, images and sounds in My library, which is convenient for you to reuse these elements in a new presentation. Follow steps below to add, import, export and clear elements to manage My library well. Select the element, and right click to select "Add to My Library"
Enter title and descriptive information-- click "OK"
Click the "My library" icon, click "Import", select a element in the local file, and then click "open"
Select a save location--click "Select Folder"--click "Yes"